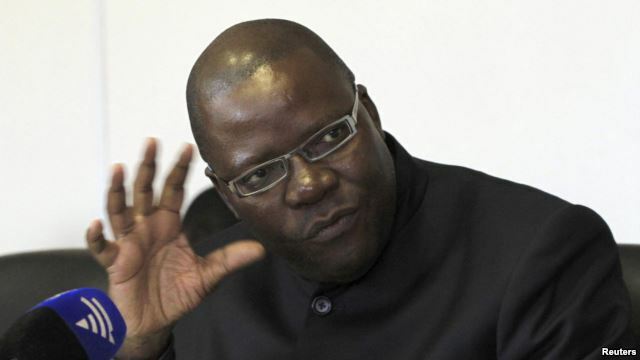 ZIMBABWE – The People’s Democratic Party (PDP) led by former MDC secretary general Tendai Biti says the imposition of ideas by some opposition parties discouraged them from signing a national document aimed at fighting for the levelling of the electoral field ahead of the 2018 general elections. In an indirect reference to the MDC-T, deputy PDP spokesperson George Mkhwanazi, said while the Electoral Reforms Agenda was a noble idea, several parties felt that it was being imposed on them by Morgan Tsvangirai’s party. Opposition parties have been calling for an overhaul of the electoral process claiming that it is skewed in favour of President Robert Mugabe’s Zanu PF party. But the ruling party has dismissed these allegations as baseless. The Zimbabwe Electoral Commission is expected to hold a crucial meeting with all political parties tomorrow to discuss some of their concerns. For perspective on the Electoral Reforms Agenda, Studio 7 reached Mkhwanazi and lawmaker Thabitha Khumalo, deputy spokesperson of the MDC-T.
Mkhwanazi said the MDC-T should stop imposing its agenda on other opposition parties. “We will not tolerate any big man syndrome. We will not allow anyone to desperately seek relevance by using other political parties as condoms towards the attainment of their extrication from their crisis that they are facing now as a party,” he said. He pointed out that Tsvangirai’s party is fond of imposing its programs on unsuspecting opposition groups and Zimbabweans for its own benefit. But Khumalo shot back saying it was unfortunate that the PDP was making such claims at a time when Zimbabweans need to find a solution to the Zanu PF dominance and current social, economic and political problems. She said, “That’s a very sad statement coming from my colleague because people in Zimbabwe do not eat this classification of a big man syndrome, a small boy syndrome. They don’t eat that. People are suffering. We never said we are better than anybody else but honestly we are the party that is in parliament and all what we are saying is we have gone through elections since 1999 and to this date including to my comrade that I am speaking to right now we are all singing the same song – Zanu stole the elections. The MDC has fractured into small hostile groups since its formation in 1999 owing to claims of lack of democracy in the party. Tsvangirai’s MDC has dismissed such claims as nonsensical.